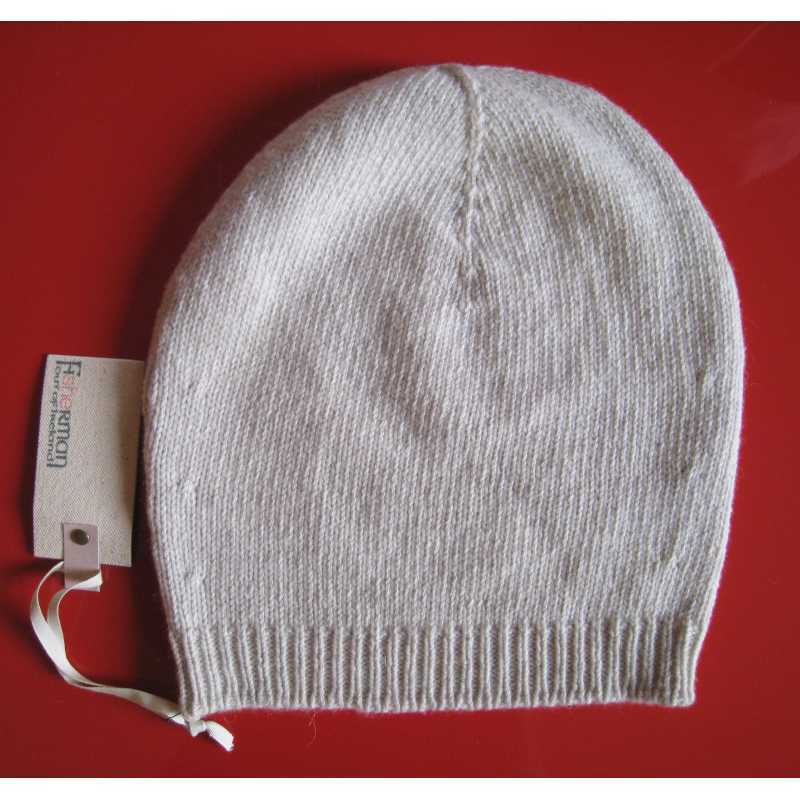 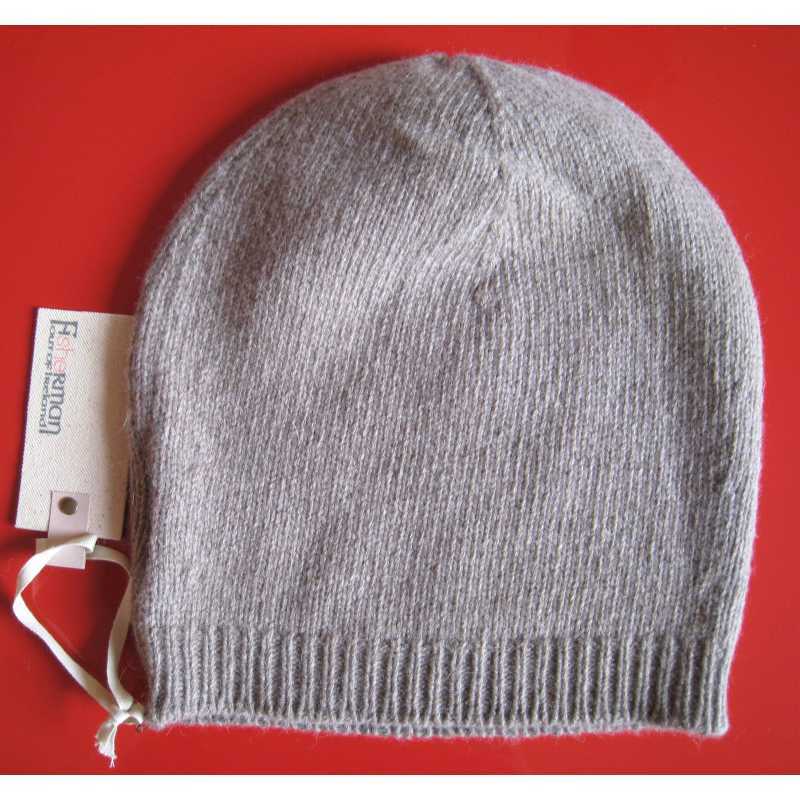 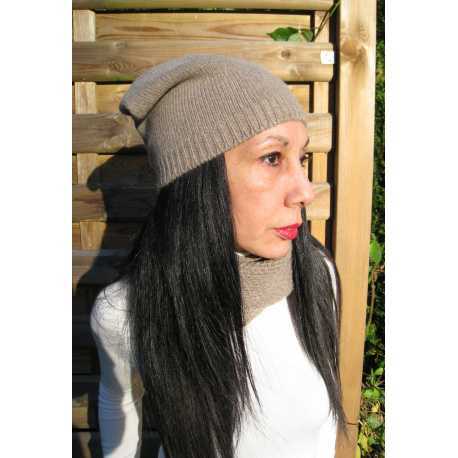 This very soft beanie hat, brand Fisherman Out Of Ireland for women, is composed of 80% virgin wool and 20% alpaca. 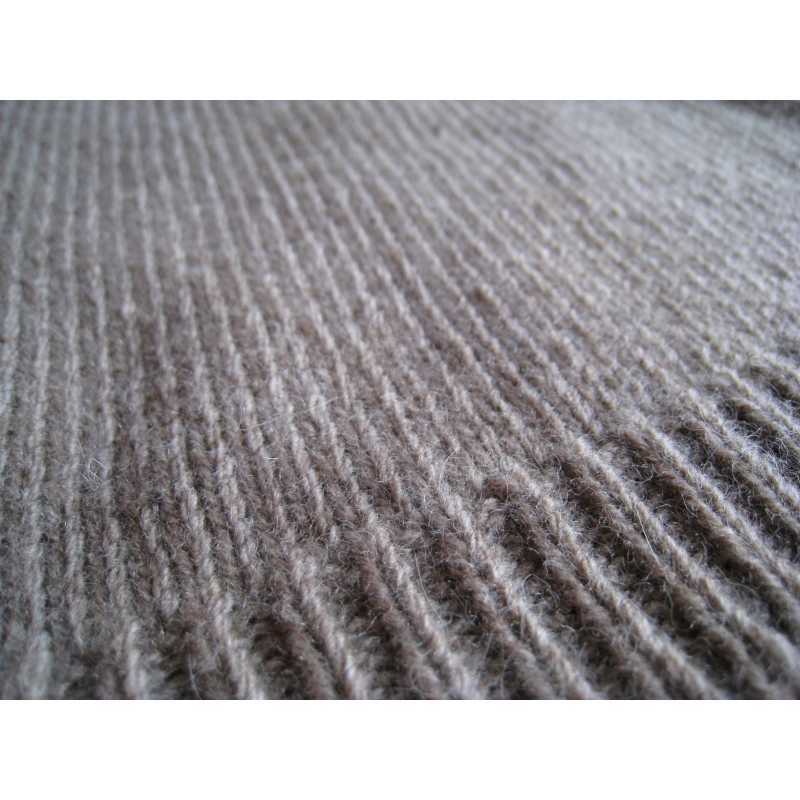 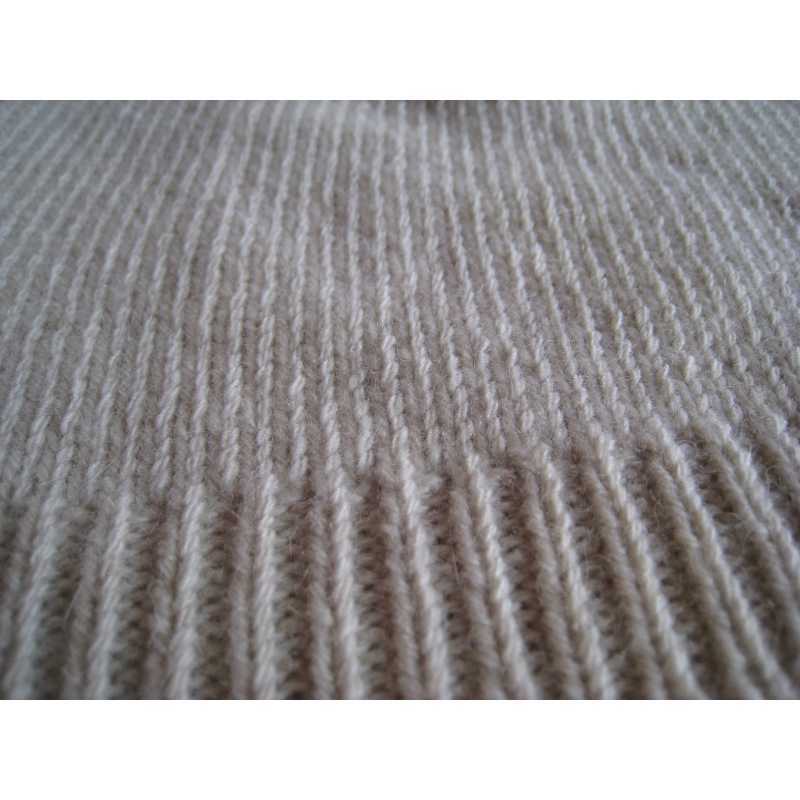 It is knitted soberly and ends at the edge by vertical ribs. 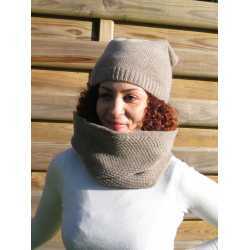 Its matching scarf is also available.